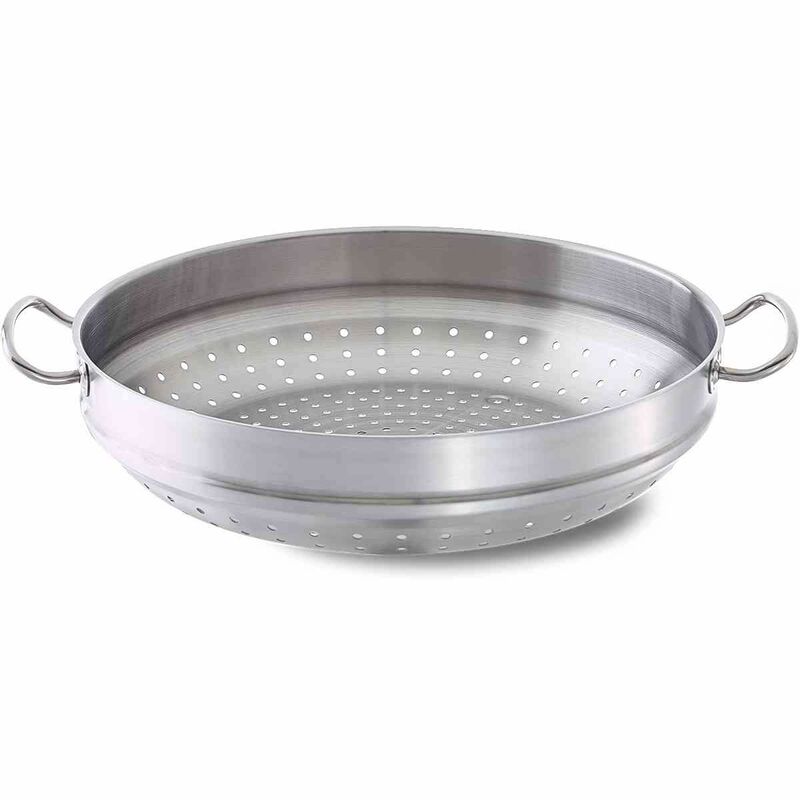 Satin-finished wok steamer insert - Perfect for steaming dim sum, etc. Far Eastern cuisine has much more to offer than just fried or braised delicacies. A further and especially gentle way of cooking is to steam the food in water vapor. This is how the delicious Chinese dumplings turn out so fluffy while the aromatic filling remains nice and juicy. 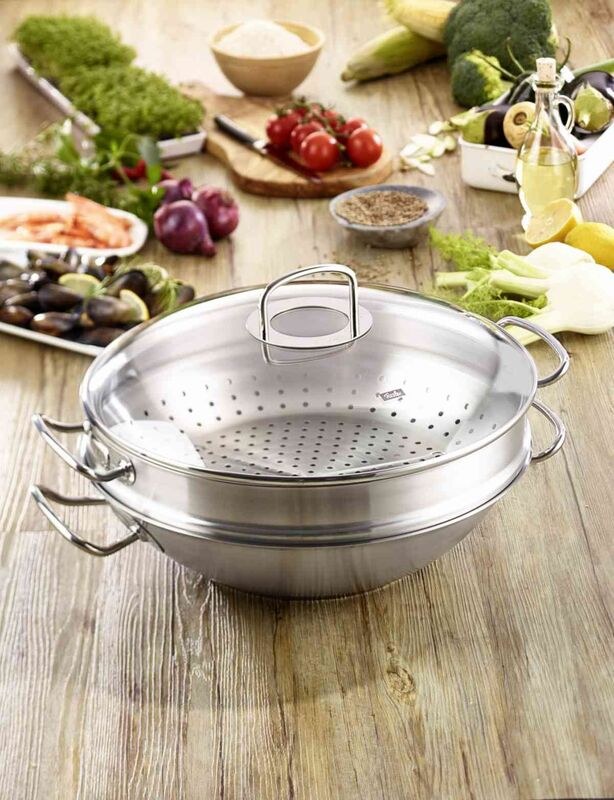 This high-grade stainless-steel steamer insert with its extensive perforations fits the 13.8" wok of the original-profi collection® series. Not only highly practical, it is also oven-safe.